The tip line. A somewhat passive-aggressive solicitation for money. 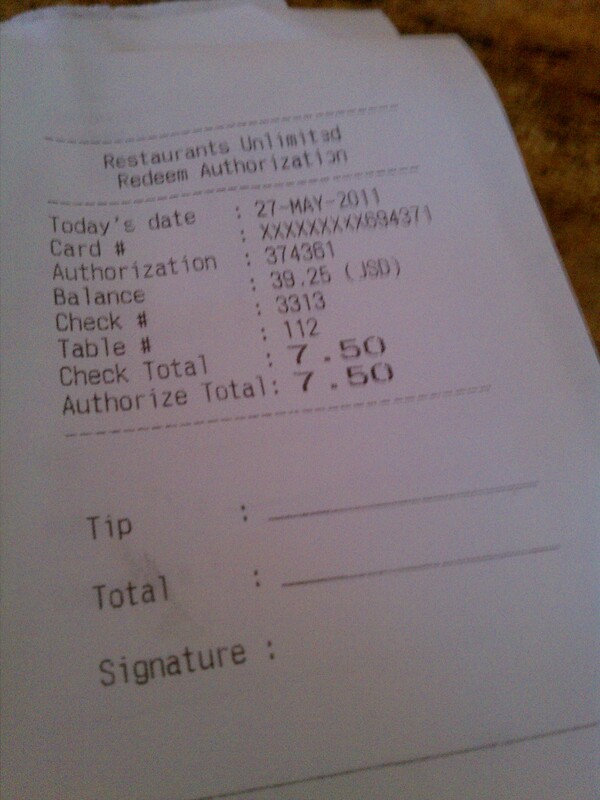 It’s long been the norm at full-service restaurants, but it also appears at many places where I wouldn’t ordinarily tip. If I order and pick up my food at the counter, a tip seems unnecessary. If I pay cash, there is no default expectation of a tip. (Though there might be an easily ignored tip jar somewhere.) 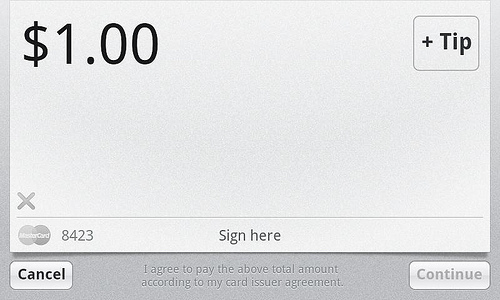 But paying by credit card, the tip is closer to an opt out. I have to explicitly draw a line through the tip line and write in a total. I’ll admit to tipping at places I wouldn’t ordinarily tip because of the subtle pressure. Sometimes I’ll pay with cash to avoid the situation. Changes in payment systems are changing this dynamic. Increasingly, credit card companies aren’t requiring signatures for low-value transactions. With MasterCard’s Quick Payment Service, transactions under $50 can be processed without a signature. It’s faster for the consumer, moves the line quicker, but removes the opportunity to tip on plastic. Is that the right experience? It depends on whom you ask. One merchant I talked to would prefer that the tip was part of the default transaction flow, as it is with a credit card slip. On a $5 food cart transaction, even a $1 tip is huge. As a consumer, I prefer the opt in experience. As a product designer, this is a great example of how even small changes can have big impacts. Either way, the customer doesn’t have to do math. That’s already a huge improvement over the paper experience.